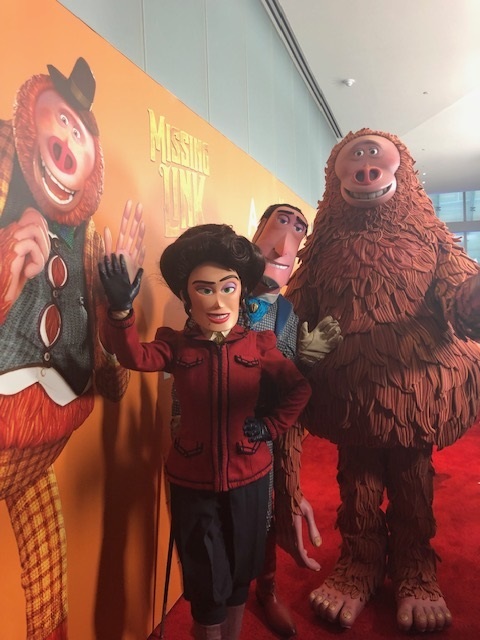 On Sunday, April 7th at the Conrad Hotel and the Regal Cinemas, Hugh Jackman, Zoe Saldana, and Zach Galifianakis were on the red carpet to discuss their new film, Missing Link. On April 12, 2019, audience will have the change to meet Mr. Link: 8 feet tall, 630 lbs, and covered in fur, but don’t let his appearance fool you… he is funny, sweet, and adorably literal, making him the world’s most lovable legend at the heart of Missing Link, the globe-trotting family adventure from LAIKA. Tired of living a solitary life in the Pacific Northwest, Mr. Link recruits fearless explorer Sir Lionel Frost to guide him on a journey to find his long-lost relatives in the fabled valley of Shangri-La. Good to know. Thanks @Judith Davis for the info. Jasmine Wood and 1 other upvoted this.